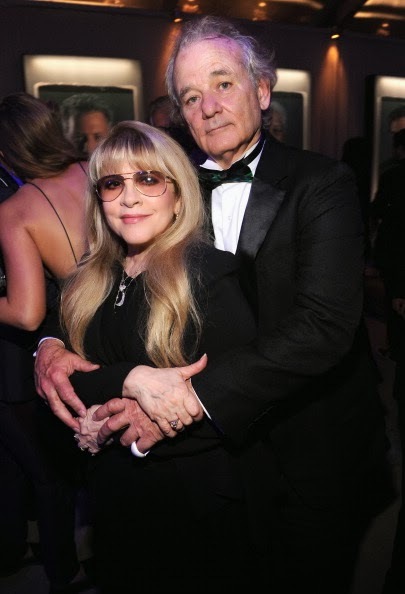 Stevie Nicks at the 2014 Vanity Fair Oscar Party with Steven Tyler, Lady Gaga and Bill Murray. 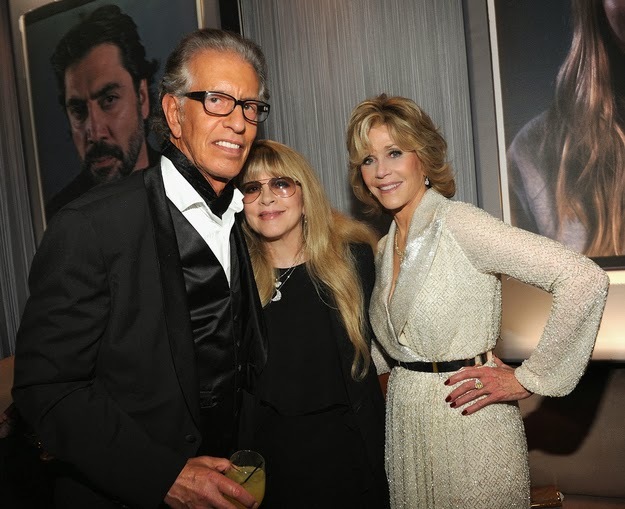 From left: Stevie with Music Producer Richard Perry and Jane Fonda. She's never been more beautiful. Radiant even. But the glasses need to go. Someone's slimmed down and looking fantastic! Steven Tyler loving the smell of Stevie? I don't mind the glasses at this point - I'm kinda used to them. Maybe she wears them because of the all the flashes on the camera. Maybe she wears them because they soften the wrinkles around her eyes. Who knows. But yes, the glasses should go. She would look great in Buddy Holly glasses. 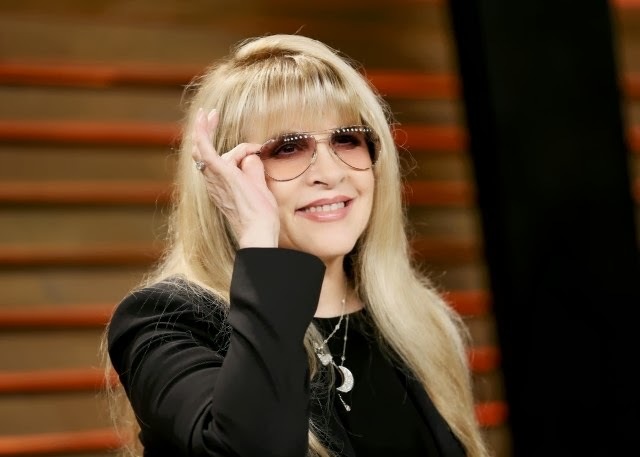 Stevie wears glasses because she needs them to see - also, she has mentioned that her eye has a tendency to weep. That's probably the reason why they're tinted. She looks fantastic! A gown would have been incredible, but she looks cute in what she has on. She looks great! Slimmed down a bit. 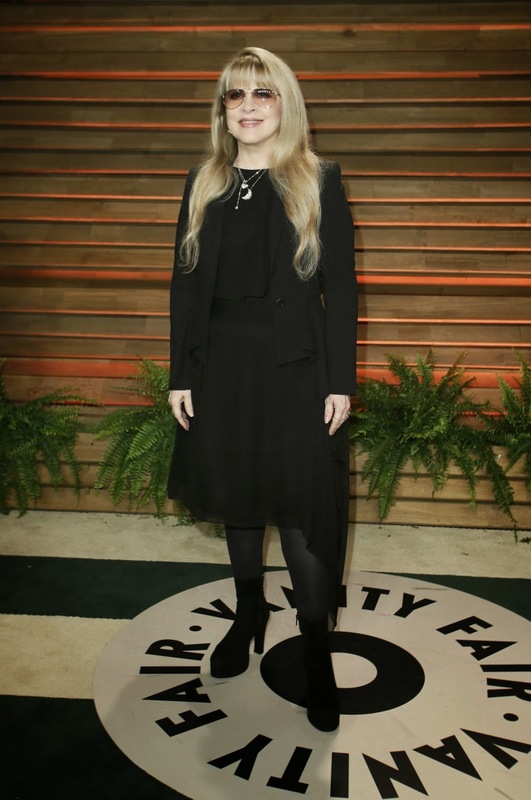 Nice to see Stevie in a new outfit with a hint of a waistline – she looks refreshed. 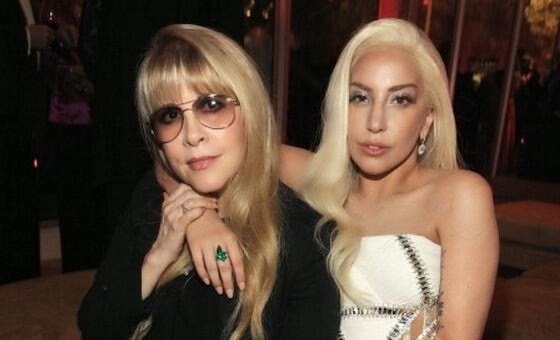 The photos with Gaga are a little obnoxious. They weren't posing for an album cover – they were at a party. Jane Fonda looks absolutely stunning. 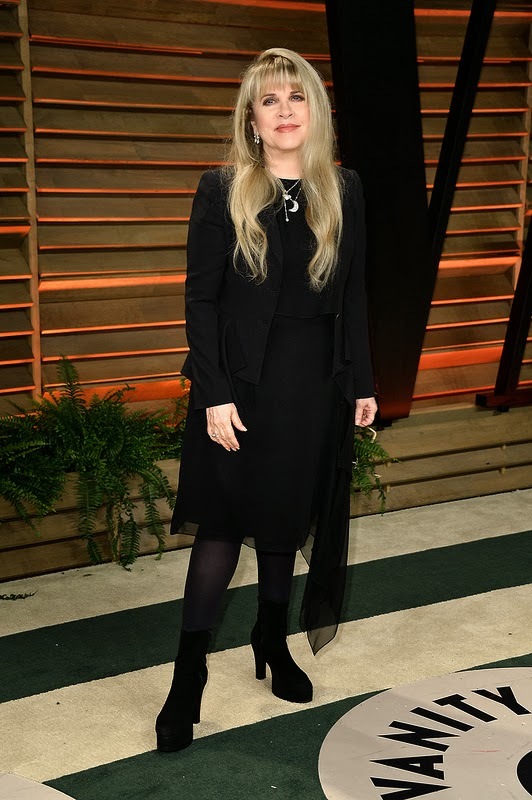 Glad to see Stevie out and about at this stage in her life. For years it seems she avoided public events at all costs. LOVE the photos with Gaga and the one including Steven Tyler!!!! 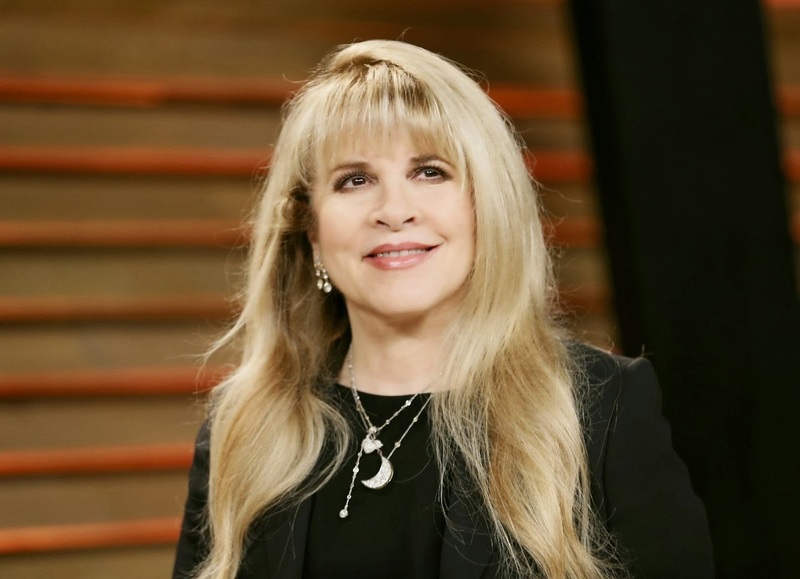 Stevie wears contact lenses when she's not wearing glasses. Maybe she gets sick of putting on contacts every day, I would too. I don't like the frames either, but I can understand why she wears them. She obviously likes them - and that's the main thing! 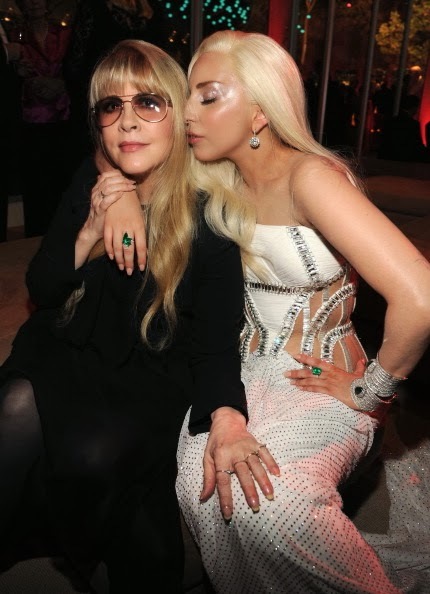 STEVIE LOOKING GORGEOUS AND YOUNG, THE PHOTOS OF GAGA AND STYLER SMELLING HER HAIR ARE THE BEST.